Kichijōji’s main tourist draw is the Ghibli museum. It’s certainly the only thing that most Westerners I’ve spoken to are likely to recognize (though most admittedly don’t realize what it is until I mention Spirited Away and/or a few other of Miyazaki-san’s works). It’s not surprising that the neighborhood isn’t a big attraction; it’s a residential area and quite a nice one. It’s not meant to draw foreigners. However the area is well worth a visit even if you are largely indifferent to anime and manga and have no intention to visit the Ghibli Museum. 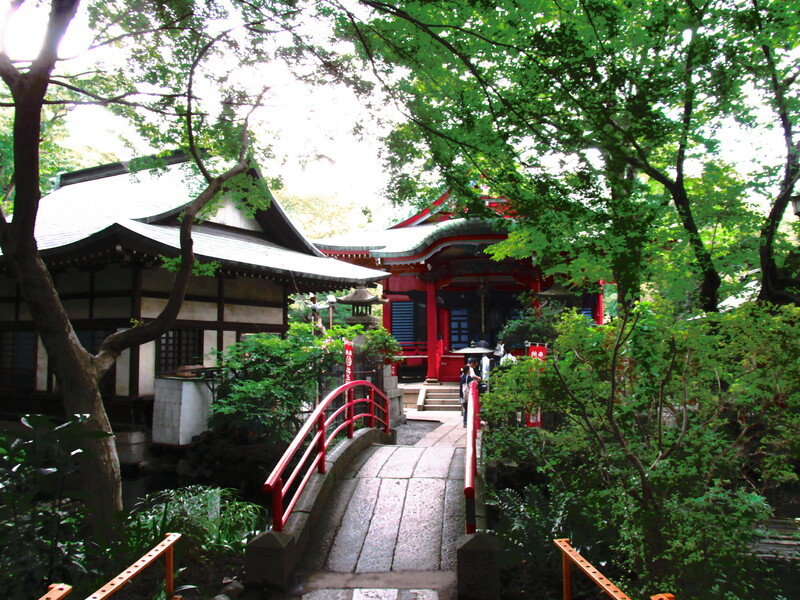 Inokashira park is simply beautiful, and it is home to my favorite shrine, one to Benzaiten-sama. I have posted this picture several times on this blog, and it is actually my desktop background at the moment. 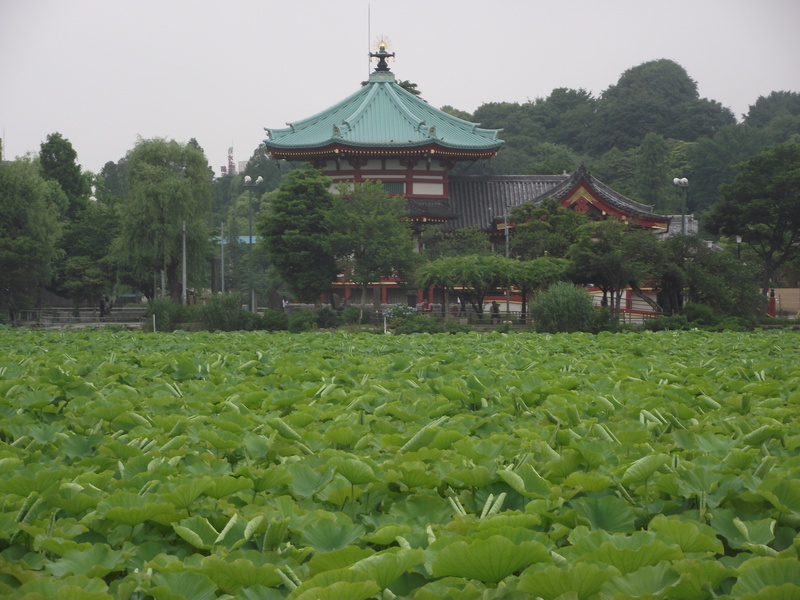 The Inokashira Jinja is and always will be very dear to me. Inokashira-Jinja’s history dates back to the tenth century, when a court aristocrat was shipped off to what is now Tokyo, but what was then the middle of nowhere. 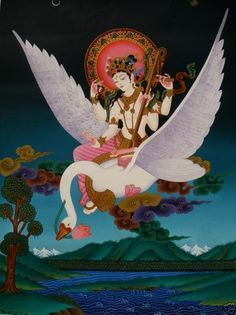 He brought with him an icon of the goddess Benzaiten-sama. The shrine itself has been in its present location since the end of the twelfth century; it was built under the orders of none other than the very first shogun Minamoto Yoritomo. That first shrine was completed in 1197, though it has been remodeled and even totally rebuilt a number of times over the centuries. 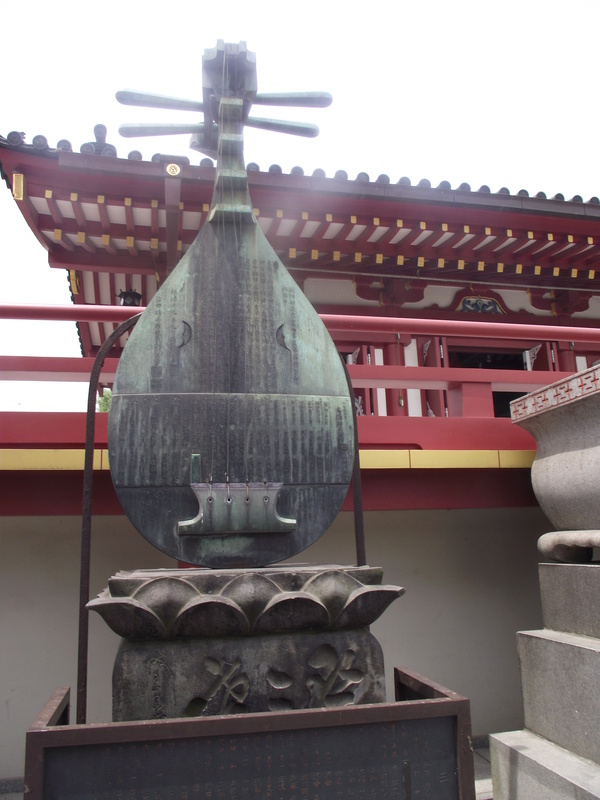 In the Edo period, the shrine was immensely popular with the leading actors of the day, and even during the Meiji era and on through WWII, when other shrines to Benzaiten-sama such as that at Enoshima and in Ueno were shut down or rededicated to native kami, the shrine in Kichijōji remained unopened and undamaged. To this day, it is a hidden jewel worth seeking. The Wonderful and Mysterious Inari-sama. 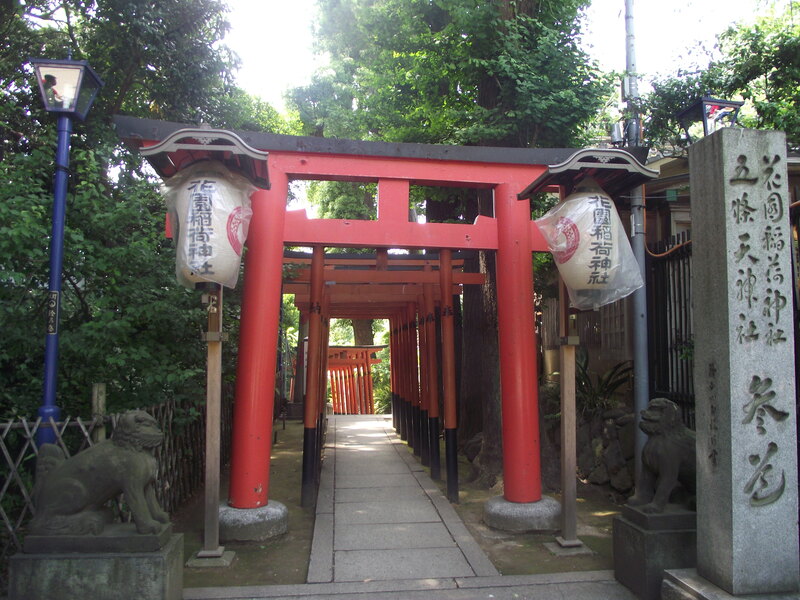 Inari-sama is believed to have over 30,000 shrines in Japan. This makes him (or her) Japan’s most popular kami, if we judge by box office returns. The odd thing, though, is that no one knows where she (or he) came from. He doesn’t appear in the Classical texts Kōjiki or Nihongi, and no Buddhist origin can be pinpointed either. Her cult appeared quite suddenly in the records, in 711 CE when the famous Fushimi Inari shrine was founded in Kyoto. Of course, any observer of Japanese history can see the threads that coalesced into Inari-sama’s present cult. Stories of fox spirits were imported from China, and merged with native animistic beliefs. These beliefs, along with the cults of the fox-riding deity Dakiniten and native Japanese deities of foodstuffs, came together to form the Inari cult that we know today. While the cultus of Inari-sama has been heavily influenced by native beliefs, Chinese fox-lore, and Buddhism, it is also animated by the spirit of something (someone) far greater: Inari-sama. Himself has a gentle and playful presence that stirs the heart and puts one up for any sort of mischief He wishes to devise. Reading about Inari-sama in books or online does not and cannot prepare one for encountering him. This includes what you are reading now. 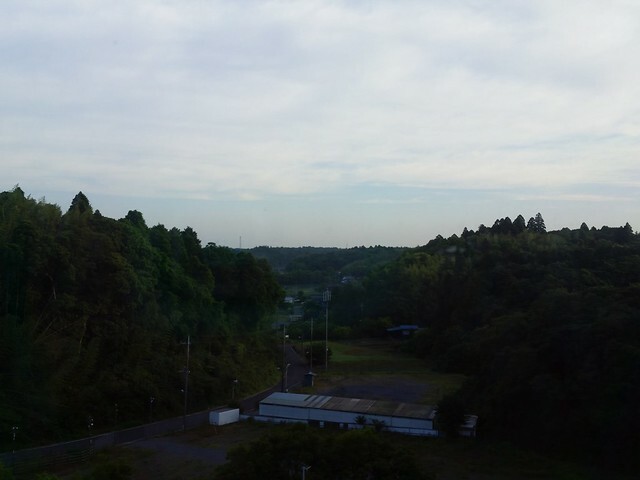 The view from my hotel window in Narita. I am leaving for Japan tomorrow. My flight from Charlotte leaves before dawn, and I have a fairly long layover in Houston. (I actually like the Houston airport, so No Big Deal.) Then it’s off to Japan. I’ll be staying in an airport hotel for the first couple of nights, and using that as a base to explore the region via train, since my hotel is close to the station. I hope to make daytrips to Kamakura and Yokohama, and maybe even scout out Tokyo before I go to my hotel on the 25th. Oh…and my hotel? It’s just a cheap little budget deal. All the reviews said “great location!” I mean…they really emphasized it. Not just “oh this place is really convenient,” but OMG THIS PLACE IS IN A GREAT LOCATION. I didn’t pay it much mind at first. In the back of my mind, I remembered that next to Ueno station = next to Ueno park, but…I didn’t think about it. Not until I cracked open a guidebook to look at the Northern Tokyo section and then I remembered. OH YEAH UENO STATION IS RIGHT IN THE MIDDLE OF THE PARK. There will be some pretty pictures on this blog over the next week and a half. I guarantee that.